(Intersociety, Onitsha Nigeria: 31st October 2017)-The authorities of the Nigerian Security Agencies especially the Nigeria Police Force have earned notoriety in creation of fears and insecurity among the citizenry especially during elections in Nigeria. This they do with mischievous intents aided by poor public relations and communications. It has been the case over the years especially in Southern part of Nigeria and the minority settlements in Northern and Southwestern Nigeria especially as recently as 2015. It is on indisputable records in Nigeria that areas of Southeast and South-south Nigeria and the minority and non-indigene settlements in Southwest and Northern Nigeria are areas with acute policing-citizen ratio in Nigeria. 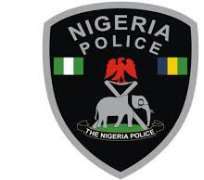 That is to say that they have least access to policing and securitization in Nigeria. People of Southwest and Muslim communities in Northern Nigeria feel more secured and have more access to the country’s policing and securitization entities and personnel than their counterparts in Southeast, South-south, guest communities in Southwest and non-Muslim areas of Northern Nigeria (Northwest, Northeast and North-central zones). Creation of fears and psychological insecurity has become an effective weapon to scare away voters especially those from the named securitization and policing acutely under-represented regions of Nigeria. With barely eighteen (18) days to the all-important Anambra Governorship Election, the authorities of the Nigeria Police Force represented by the Anambra State Commissioner of Police, Alhaji Garuba Umar are at it again; by deliberately creating fears, panics and insecurity through info-warfare so as to scare away the State’s 2.15m certified voters. This act of electoral securitization fears, panics and insecurity is deliberately designed or mischievously intended and aided or tailored in poor public relations and communications. A clear case in point is the public announcement by Anambra State CP, yesterday (30th October 2017) of deployment of “16,000 police personnel, 10,000 soldiers, 5,000 naval personnel and 3,000 air force personnel for 18th November 2017 Governorship Poll”. That is to say that the total number of the deployed or about to be deployed armed policing and security personnel for 2017 Anambra Governorship is 34,000. This excludes other personnel or members of the Anambra State Joint Security Taskforce (i.e. NDLEA, NSCDF, SSS, armed vigilantes, etc). It must be pointed out clearly that there is nothing wrong in putting in place effective and competent Election Day security arrangements but everything is wrong when such arrangements are mischievously intended, created and aided by poor public relations and communications. The Anambra CP’s security and safety threatening announcement of the “deployment of 16,000 police personnel, 10,000 soldiers, 5,000 naval and 3,000 air force personnel for Anambra Governorship Election” are nothing short of militarization of electoral process and intimidation and disenfranchisement of over 2million voters of Anambra State through media sensationalism. The announcement is also State rigging by psychological and scripted means. Due to wide gap between “haves” and “have-nots” in policing-citizen ratios in Nigeria, this act of militarization of electoral process through poor public relations and communications has in recent past scared away millions of voters in Nigeria. Such teeming voters stay away from polling booths so as not to be victims of “shoot-at-sight” or being shot dead and tagged “hoodlums” or arrested, detained and tortured for same. Anambra State Police Command, the Police Force Headquarters in Abuja and other security agencies in Nigeria should have been more tactical and forensic concerning 2017 Anambra governorship election and its security so as not to add salt to injury. This is owing to the fact that the electorates of Anambra State, numbering 2,15m are already facing psychological threats of election boycott from some non State actors. Therefore, what Anambra State, its electorates and entire residents and citizens want to hear from the Nigeria Police Force and the authorities of other security agencies in the country with respect to the 18th November 2017 Governorship Election is not the number of armed soldiers, police, naval and air force personnel and armored tanks, bombs, automatic rifles, gunboats and attack helicopters and warplanes deployed or intended to be deployed for the Poll. People of Anambra State are not in a state of war but election and its accompanied electoral freedoms and liberties. Rather, the electorates and entire people of the State want to be firmly assured by the named authorities of the Nigerian Security Agencies especially the Nigeria Police Force of their maximum security and safety on Election Day. They want to be firmly assured of security digitalization, not militarization of the State’s 4,608 polling booths, 326 electoral wards and 21 LGA collation centers. They want to be firmly assured of forensic safety and security of all land and marine routes to the said polling booths, wards and LGA collation centers on Election Day. They want to be firmly assured of change of manners and orientations by these security operatives especially the soldiers and police who till date are seen by the Anambra People as “enemies in uniform” owing to their unresolved civil atrocities against the People of the State and Igbo Land in general. Further, Anambra State, its electorates and entire residents and citizens also want to be firmly assured that armed soldiers and naval personnel on election duty are quarantined far distances off all the polling booths, but effectively motorized in a sort of “quick response” arrangements with capacity to access any troubled polling booth or ward/LGA collation center in minutes in case of any malpractice, security threat or breakdown of same. They want to be assured further of the capacity and competence of the security agencies especially the Police authorities to quarantine and strip big political players and government contractors in Anambra State of their excessive security guards or access to same on Election Day. Specifically, the electorates and people of the State want to be firmly assured that “Ubah factor” in Aguata and Orumba, “OBIJACKSON, Emeakai, Nzeribe and Orjiako factors in Ihiala”; “Offor and BISHOP factors in Ekwusigo”; “GUO factor in Anaocha”, “Ewepudike factor in Nnanka”, “Arthur factor in Dunukofiah”, “ Ubah factor in Nnewi”, and “Ukachukwu factor in Nnewi South”, etc shall be positively handled and ensured that they do not negatively affect the Poll. That is to say that registered and certified voters in those areas must maximally be protected to freely cast their votes to candidates of their choice. Finally, Anambra State, its electorates and entire residents and citizens want to firmly be assured that all members of the Nigerian Security community on Election Day security duty shall be properly tagged and profiled. They want to be assured that security agents especially members of the Nigerian Armed Forces and Police on same election duty shall be properly oriented and sensitized especially on civil duties expected of them on Election Day which mandatorily include good public relations, communications, human rights and humanitarianism. Most importantly, members of the Nigerian Security Establishments designated for the 18th November 2017 all-important Governorship Poll in Anambra State must be trained and disoriented from thoughts of still on killer “operation python dance 1 & 2” missions in Igbo Land including Anambra State. Through their training and orientation, they must be made to understand the fundamentals of election duty including neutrality, impartiality, human rights and humanitarianism. The People of the State must also be firmly assured that over 1000 armed vigilante groups in Anambra State shall be disarmed on the Eve of Election Day and Election Day proper.